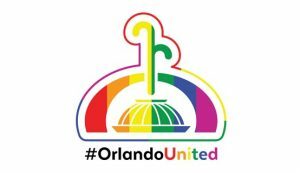 July 11, 2016 – ORLANDO, FL – The City of Orlando and Orange County Government are partnering with Heart of Florida United Way to manage the Orlando United Assistance Center to provide long-term assistance to those affected by the Pulse tragedy. Starting Monday, July 11, Heart of Florida United Way will manage all daily functional activities of the center, including the oversight of the building and its staff and arrange partnerships with various service providers like the Victim Service Center, the GLBT Community Center of Central Florida and Miracle of Love, Inc., to ensure the needs of the visitors to the center are met. “Heart of Florida United Way is uniquely qualified to manage the Orlando United Assistance Center. Through the center, we are focused on the long-term recovery needs of the survivors, victims’ families and all those who were impacted by the Pulse tragedy. By providing one-on-one support, we will continue to help those in need,” said Orlando Mayor Buddy Dyer. Heart of Florida United Way has a vast network of partners in the nonprofit sector to address the variety of needs of those impacted by the tragedy quickly and efficiently connect those in need to the resources available. Heart of Florida United Way also has experience in community recovery efforts having managed the long-term action plan after local disasters including the 2004-05 hurricane season. Culturally-experienced representatives from the Hispanic and LGBTQ communities will continue to be present at the center to provide support.